The combined Irwin Professional square provides accurate readings of 90 to 45 degrees and bubble level. The square also features a stainless steel blade to rust-proof. IRWIN METAL COMBI SQUARE is rated 5.0 out of 5 by 2. 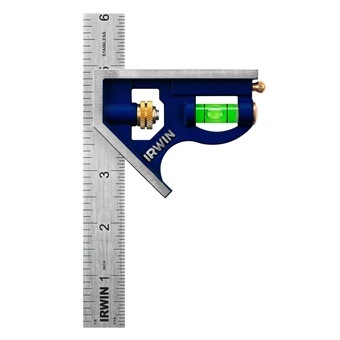 The combined Irwin Professional square provides accurate readings of 90 to 45 degrees and bubble level. The square also features a stainless steel blade to rust-proof.